Ellen always comes through with the great ‘feel good’ stories. This one on the brother Akbar Cook certainly ranks near the top of that stack. Watch. Ellen sat down with Akbar Cook, Principal of a Newark, New Jersey high school, who after noticing at-risk students being bullied for dirty clothes, worked hard to install washing machines and dryers so the kids could do laundry. After hearing his story, Ellen teamed up with her friends at Cheerios to help Principal Cook continue to do good and support his “babies” at school. Take care of the babies, Akbar. Our babies! And bless you, Ellen, for shining the light on this. Vertical farms use less land, less water, less energy… and seem to be more efficient at producing food. Facts. But don’t take my word. The video says so, and I am sure the claims are verifiable if you want to go looking. Me? I hope the authorities are looking into vertical farms. We have almost 7 billion people on this rock, and a lot are going malnourished and hungry. Visuals for this “Classically Beautiful” series begins with the NYC discussion and continues after the jump, taking the discussion to New Jersey. Each discussion clip relates multiple perspectives from women who are learning to fully embrace who they are and what they represent. To the core, this piece is a representation of how we manifest our truths and convictions, how we identify ourselves in the face of adversity, and the power of dialogue. Dialogue so powerful that it can influence, encourage, and inspire us to exist with purpose, or fire. The way that you communicate and the things that are communicated to you will shape and build you for the rest of your life. Gotta love this. There are only so many ways that we can tell our beautiful and incredible sistas how beautiful and incredible they are. Watch as they share how they have learned to tell it, to boldly declare it, to themselves! Atlanta is known for being the place where Music is happening but the visual Arts scene is on the rise as well. From the Forward Warrior Mural project to the graffiti art covered Krog Tunnel & city commissions to enrich areas with Art. Magic is being created in Atlanta’s painting studios along with the music studios. 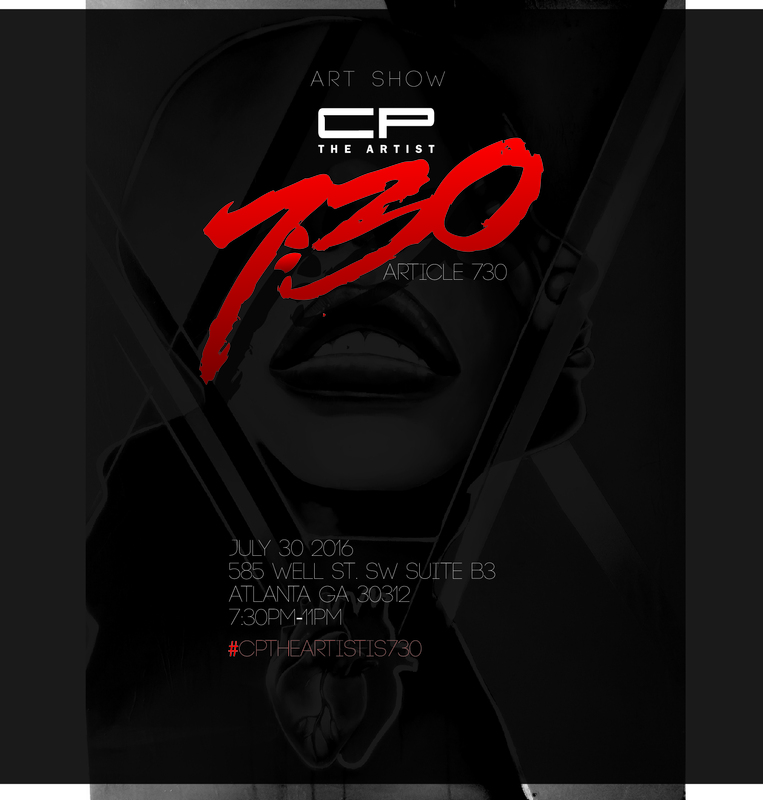 Well one of the artist helping to push forward the scene in Atlanta is CP The Artist. Charlton Palmer a transplant of NJ who makes Atlanta his home talked with us about his upcoming solo show 7:30. (Show is on July, 30th starting at 7:30 585 Well St SW Suite B3 Atlanta, GA 30312) .We also talk what inspires him and what’s on his playlist when he is in the studio. A new report from Seton Hall Law School Center for Policy & Research has found that in the majority-white municipality of Bloomfield, New Jersey, nearly 80 percent of traffic tickets are issued to African American and Latino drivers. The report also found that most tickets were issued to non-resident minority drivers passing through town, suggesting a “de facto border patrol” policing policy is in effect. The Bloomfield Police Department — which has begun collecting data on the race of drivers in traffic stops as of January 2016 — rejects the report’s findings. VICE News reports on Seton Hall’s methodology and on the experience of minority drivers in Bloomfield. Please note that in this video, Lakisha Finkelstein’s name was misspelled as Latisha Finkelstein.